With the Green Energy movement increasing in popularity on an almopst daily basis we have a look at once of the main companies looking to supply green energy into the future. Green Electricity didn't exist in the world back in 1996. When Ecotricity offered it for the first time, they became not just Britain’s but the world’s first Green Electricity company – and kick-started the now global Green Electricity movement. 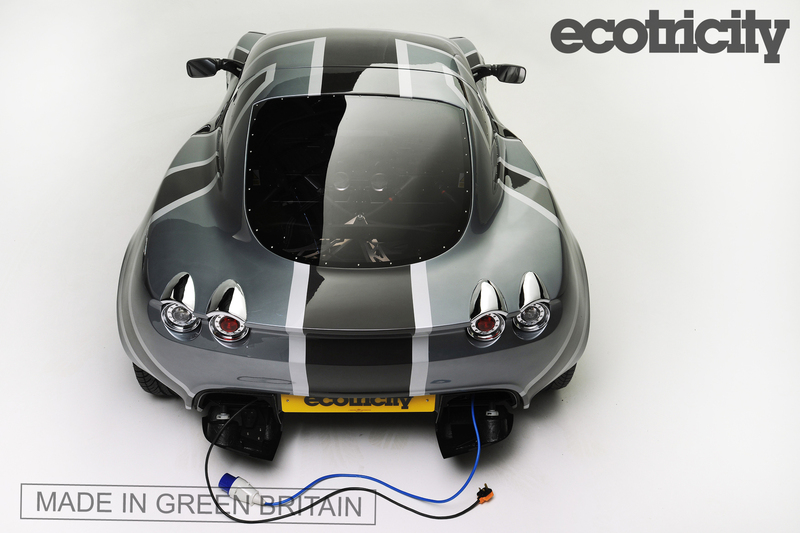 Ecotricity's mission was and remains to change the way electricity is made and used in Britain. Ecotricity chose this focus because conventional electricity is responsible for 30% of Britain’s carbon emissions – it’s our biggest single source as a nation – and therefore the biggest single thing we can change. Ecotricity operate a unique model. Using customers’ energy bills to fund the building of new sources of Green Energy. They like to refer to this as turning ‘Bills into Mills’ – energy bills into windmills. With no shareholders to answer to they’re free to dedicate all their attention to the task of building new sources of Green Energy. And that’s just what they do, on average spending more each year per customer on new sources of Green Energy than any other energy company in Britain - bar none. Electricity is the biggest single source of carbon emissions in Britain – but it’s not the only one of course. The big three are Energy, Transport and Food: between them accounting for 80% of all of our personal carbon footprints. The one thing they have in common is that Energy plays a vital role in them all. That’s why Ecotricity extended their work beyond the boundaries of traditional energy companies. In Transport they built the Nemesis, Britain’s first electric super car – to demonstrate how cars of the future could actually be wind powered. Next came our Electric Highway, the world’s first national network of charging stations - to kick-start the electric car revolution in Britain. 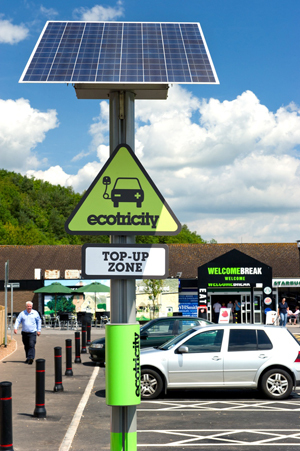 Ecotricity also built the first national charging network for electric cars. For first time electric vehicles will be able to travel the length and breadth of Britain using the world’s first national charging network at motorway service stations across the country. Every charging post will be powered with 100% green energy made at Ecotricity’s wind and solar parks across the UK, and means that electric car drivers (and motorcycle riders) will be able to drive from London to Edinburgh or Exeter completely free and with vastly reduced emissions. This breakthrough in electric car infrastructure removes one of the main barriers for people wanting to buy electric cars – range anxiety – which currently restricts people to driving within their own city. With Ecotricity looking to take bigger and bolder steps into the forefront of producing green energy, with the world's first dual-fuel green tariff and plans afoot for mills to produce green gas and even more wind turbines, sun parks and other renewable energy, it may not be long before you consider switching from a conventional energy supplier to one that truly has Green Credentials. Turn a Chimney Breast Into A Focal Point.